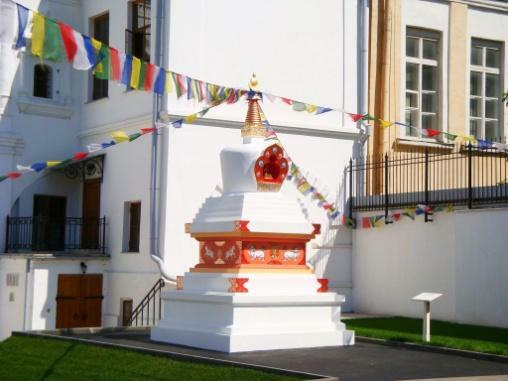 Traditionally dominant in Russia, Gelug is considered to be the main school of Tibetan Buddhism in Moscow. 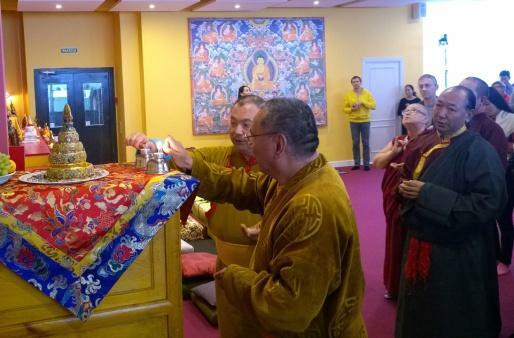 In terms of the number of its adherents, the Moscow Karma Kagyu School, which advocates Tibetan Buddhism, is Moscow’s largest Buddhist community in terms of the number of its adherents. 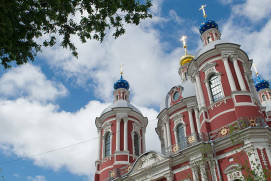 The Moscow Lama Tzong Khapa Buddhist Centre offers classes on Buddhist theory and practice. 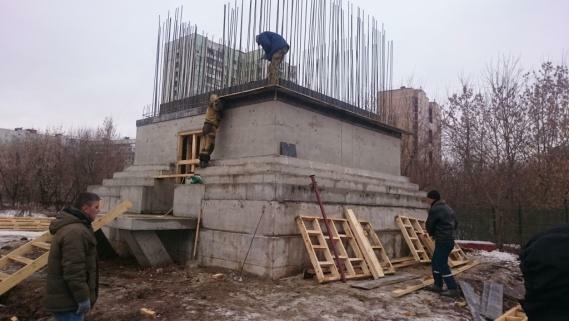 Moscow’s first Buddhist temple complex, Tupden Shedubling, is being constructed in Moscow now. Its project floor area is 2,800 sq.m. The State Museum of Oriental Art displays a vast exhibition of artefacts from Kara Tepe, the oldest Buddhist centre (1st-5th AD). 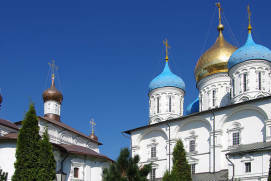 Buddhism is a relatively popular religion in Russia, with its roots lying in such distant areas as Buryatia, Kalmykia and Tuva. 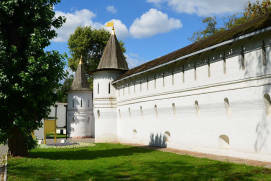 Moscow, however, has numerous albeit small Buddhist communities, and construction of Moscow’s first temple complex, initiated by the Moscow Buddhist Community, is about to begin in the north of the city. 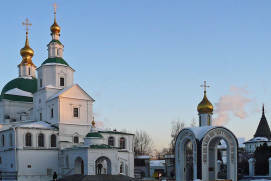 Unofficial estimates put the number of Buddhists living in Moscow at some 70,000. 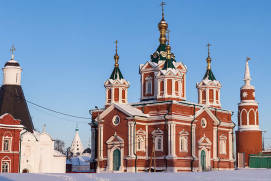 Buddhism came to Russia, when Kalmyk tribes had agreed to become subjects of the Russian Crown back in the 17th century and when political disruptions had forced Tibetan and Mongolian lamas to leave their fatherland. They started spreading Tibetan and Mongolian Buddhist traditions on the territory of the present-day Buryatia. The forward-looking Russian Empress Catherine the Great created the position of Pandit-Khambo-Lama in 1764 and recognized Buddhism as one of the official religions in the Russian Empire. Two years later, Buryat lamas declared Catherine the Great to be an earthly incarnation of the White Tara. 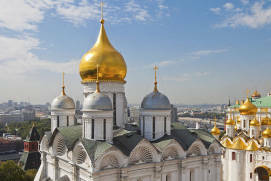 From that time on, the adherents of this religion felt protected by the State until everything changed in the 20th century, during Soviet times, when Buddhists were persecuted just like all believers. 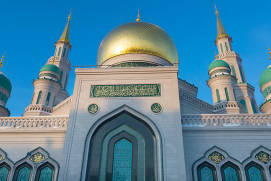 In the 1990s, after the downfall of the Soviet Union, the Central Spiritual Council of Buddhists (Russian: Центральное духовное управление буддистов) brought together many Buddhist organizations from Buryatia, Kalmykia, St. Petersburg and Moscow. 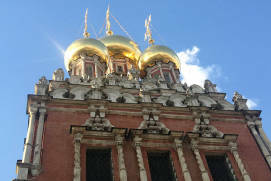 Moscow’s first Buddhist communities were officially registered in 2002 and the following organizations acquired a legal status: the Straw Shack Moscow Buddhist Union (Russian:Московское объединение буддистов «Соломенная хижина»), Dzogchen Shri-Sinkha Centre and the Karma Kagyu Traditions Diamond Way Centre (Russian: Буддийский центр Алмазного Пути Традиций Карма Кагью). 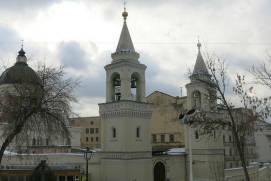 Philosophy and meditation techniques of various Tibetan schools, such as Kagyu, Gelug, Sakya, Nying-Ma and Bon, are popular in Moscow nowadays. Ways of achieving enlightenment, ceremonies and even the language, in which religious services are conducted, differ from one school to another, but the same fundamentals allow Buddhists belonging to different schools to attend services in any community. Currently, Moscow’s most active Tibetan Buddhist school is Gelug, which has prevailed in Russia throughout history. 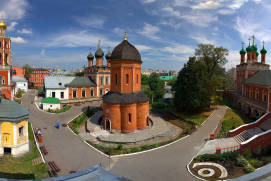 Karma Kagyu, the second largest Buddhist school in Moscow, is presumably two hundred years older than Gelug. 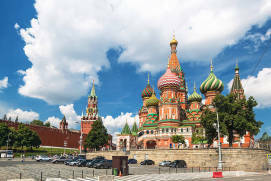 In total, two dozens of Buddhist religious organizations and three Buddhist funds are officially registered in Moscow. 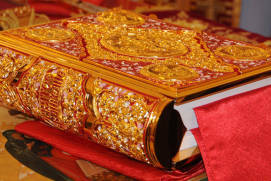 These include the Sokhranim Tibet (Let’s Preserve Tibet) Charity Fund for the Preservation of Tibetan Buddhist Cultural and Philosophical Traditions, the Charity Fund for the Creation and Development of the Memorial Buddhist Temple and the Charity Fund for Construction of the Buddhist Temple in Moscow. The Moscow Karma Kagyu School (35, 17/1 Petrovsky Boulevard) is considered to be one of Moscow’s largest Tibetan Buddhist schools by number of adherents. 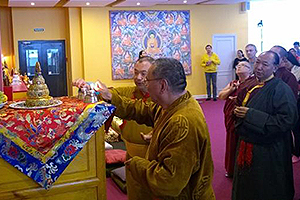 The followers of the so-called Diamond Way (Karma Kagyu) gather in a cozy 100-square-meter basement that has several halls for classes, meditation and various practices. 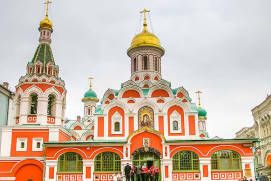 Followers of this religious school first gathered in Moscow in 1991, bringing together local Tibetan Buddhists, and, in 1997, a generous adherent offered this facility as a gift to Karma Kagyu Buddhists living in Moscow. 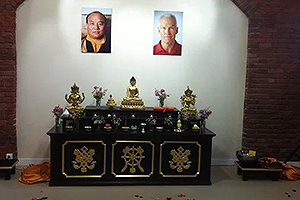 Adepts of the Tibetan Karma Kagyu Buddhist tradition are gathered around their mastermind, Lama Ole Nydahl. In this tradition, the believer is identified with an enlightened being and meditations start without any preliminary preparations, so you can try meditation on your very first day here. Over time, various physical exercises come to complement meditation. In total, adepts are expected to perform these practices 111,000 times! Depending on the person, this may take anywhere from two to ten years. It is Lama who says what happens next and a meeting with him is said to transform people’s lives. 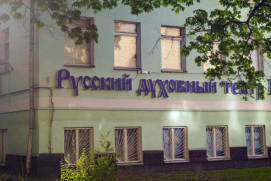 The Moscow Lama Tzong Khapa Buddhist Center offers classes on Buddhist theory and practice (Bldg 1, 23, Mytnaya Street). Moscow adepts of Gelug, which is the main school of Tibetan Buddhism, have been meeting in this center meant for some 150 persons since 1997. Dalai Lama himself is said to be at the helm of Gelug. The Gelug school focuses on meditation, philosophy and the Four Noble Buddhist truths, including suffering, which is inevitable for every person. The path towards enlightenment in Gelug lasts longer than in the Karma Kagyu tradition: one should achieve understanding and get enough training before proceeding to meditation. Physical exercises, including yoga, do not require any special preparation and can be done even before joining the community. 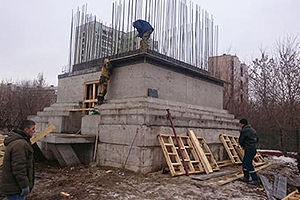 Tupden Shedubling, Moscow’s first Buddhist temple complex, is being built not far from the synagogue located on the bank of the Likhoborka River in Moscow. Its project floor area is 2,800 sq. m. This temple complex will provide Moscow Buddhists with an opportunity to meet like-minded people from all schools of Buddhism at a time. The idea is to erect two Buddhist temples here, the big and the small ones, as well as an educational Centre for the Study and Practice of the Teachings of Buddha, a library and a spacious conference hall. 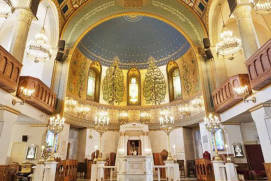 The temple complex will also comprise an educational centre for children, a health centre and a huge charity canteen. According to the followers of Buddhism, all these facilities will be open to Buddhists only. The State Museum of Oriental Art (Russian: Государственный музей народов Востока), located at 12a, Nikitsky Boulevard, boasts a rich collection of exhibits from Kara Tepe, an ancient Buddhist monastery complex that was active between the 1st and 5th centuries AD, and vast collections of religious objects in the rooms dedicated to Tibetan, Buryat and South-East Asian art. The museum staff draws on these collections to give lectures on Buddhist history and art of South-East Asian countries. Of major importance for Buddhists is the legacy of the Roerich family, represented by a rich collection of paintings by Nicholas Roerich and his sons, Yuri and Svyatoslav, on view at the State Museum of Oriental Art; by the family collection of Himalayan and Tibetan works of art; and by a compilation of documents and personal belongings of the Roerich. On display are Nicholas and Helena Roerich’s works on history, art, philosophy and Buddhism methodology that formed the basis of an international spiritual and cultural movement. Nicholas Roerich’s younger son, Svyatoslav, had long been one of the art patrons of the State Museum of Oriental Art. 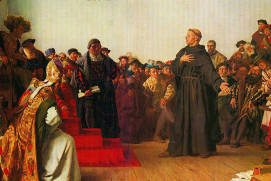 He often visited the Museum and worked hard enriching its collections. Svyatoslav Roerich was the one who put forward the idea of founding the Nicholas Roerich Museum and who compiled a fascinating collection of some 300 canvasses painted by his father and brother. 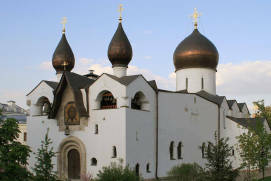 Svyatoslav Roerich used to attract numerous followers of his father’s teachings to the Nicholas Roerich Museum, participating in lectures and meetings that took place there. 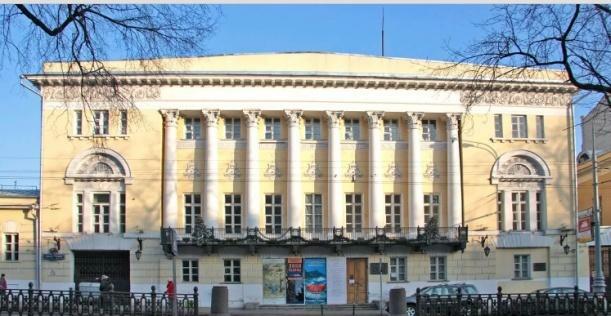 Work has been under way for some time to create a branch of the State Museum of Oriental Art that would be devoted to the Roerich family. 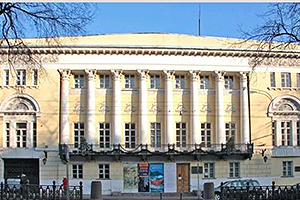 It will occupy the former Lopukhin city estate (3/5, Maly Znamensky Lane), which used to accommodate the International Roerich Centre. 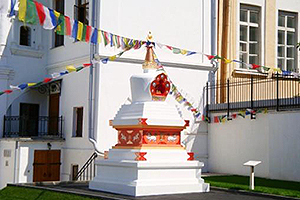 In the courtyard is the Three Jewels Stupa (Russian: Ступа Трёх Драгоценностей), funded by Buddhist monks from Nepal on the 80th anniversary of Roerich’s expedition to Central Asia. Rumor has it that priceless Buddhist relics are hidden at its basis, including the relics of Buddha Shakyamuni, the founder of modern Buddhist, and those of an even older Buddha Kassapa and of other Teachers. 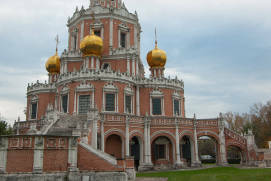 This monument is Moscow’s only canonical stupa. 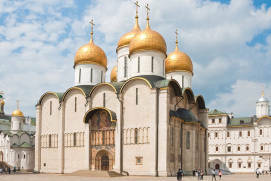 When asked about the sacral nature of the Three Jewels Stupa, the official representative of the traditional Buddhist Sangha, or community, in Russia, Sanjay Lama, answered that believers had long given it a religious status. 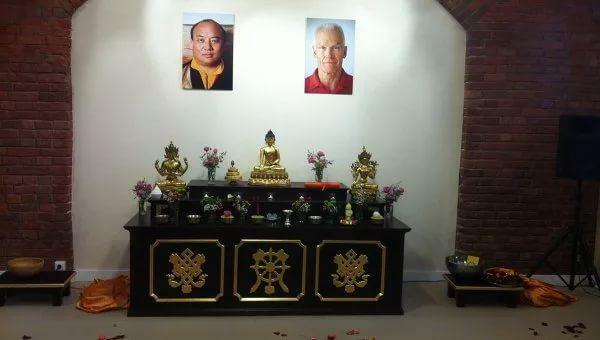 Another cult place for Russian Buddhists is, undoubtedly, the Tibet House in Moscow (19, Rozhdestvensky Boulevard). 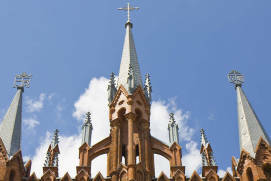 Essentially a secular organization, it is engaged mostly in charitable and educational work. The Tibet House hosts regular lectures by Tibet specialists and organizes Buddhism-related meetings with artists, festivals, concerts and exhibitions. The Tibet House takes an active part in the publication of the theme-based material. The Tibet House is also engaged in organizing visits of Tibetan monks and Lamas to many events, such as meetings, film sessions, public appearances as well as celebrations of the Tibetan New Year and of the Dalai Lama’s Birthday. Dalai Lama XIV is the founder and patron of the Tibet House in Moscow.